Thanks to the fog, our day trip to Oak Bluffs last September turned into a 3 day mini vacation. 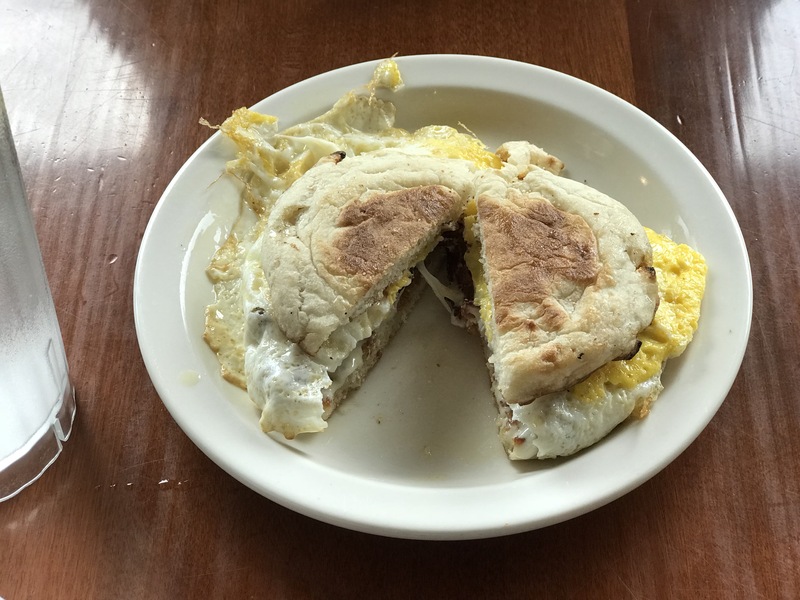 I don’t know about you, but one of my favorite things to do on vacation is to go to breakfast and that’s how we discovered Linda Jeans — one of the best breakfast spots on Martha’s Vineyard. Although it looked and felt new, Linda Jeans is run like a great family restaurant of days gone by. Once inside, you’re greeted by a sign instructing you to seat yourself. Almost immediately a uniformed server appeared offering coffee and menus. I went traditional and ordered the Number Two. 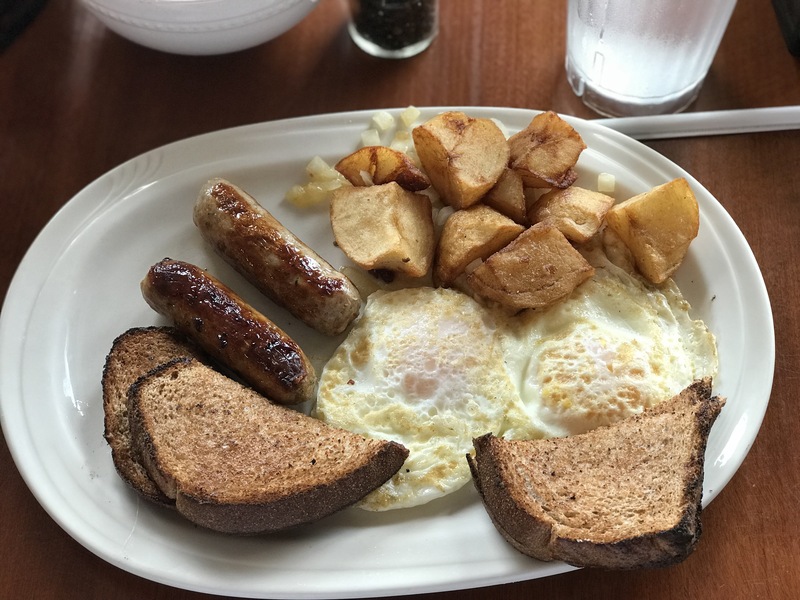 This $8.99 feast offers two eggs, large sausage links, home fries, and toast (of your choice). They also offer a Number Three for $10.99 which I suppose is three of everything. My breakfast was cooked perfectly. The sausage links tasted homemade and the potatoes were basically French fries in the shape of a home fry. 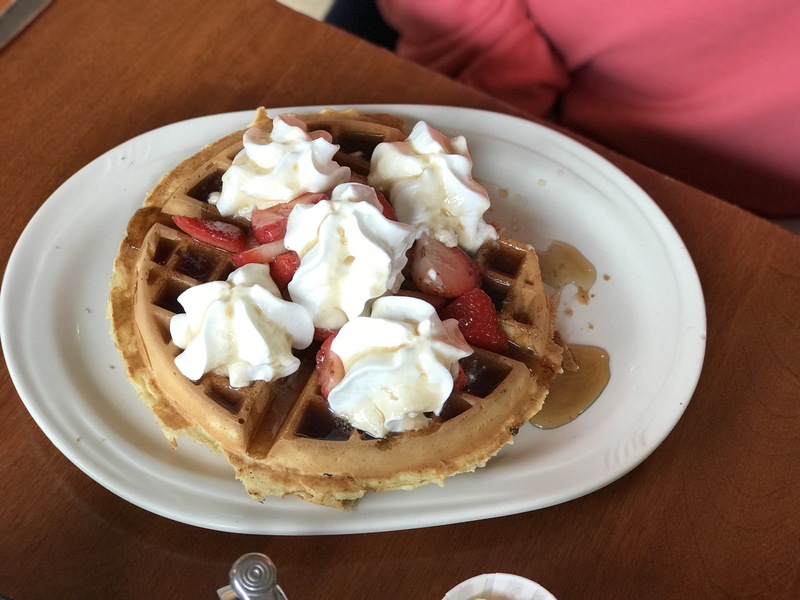 I also tasted Mrs. Horne’s waffles and they too were outstanding – light, crispy, and sweet. For the record, we returned on Thursday and Mrs. Horne went light ordering just an egg and bacon muffin. The competition for breakfast on Martha’s Vineyard is pretty fierce, but I doubt I’ll ever find out. I’m sticking with Linda Jeans when I’m in Edgartown.